Getting a YouTube video to repeat on a loop might sound like a basic task, but it's surprisingly hard to do and can leave many viewers frustrated. Fortunately, there are three fairly simple methods for looping your favorite YouTube music video or movie trailer, and they're all completely free and work with all platforms, including iPhone and Android smartphones and Windows, Mac, and Linux computers. If you're used to watching YouTube videos on your computer in a web browser such as Edge, Chrome, or Firefox, you actually already have the ability to loop videos, via a hidden menu embedded in the video. Visit YouTube in your favorite browser, and open the video you want to set to repeat. Right-click the video area, or long-press if you're using a touch screen. Select Loop from the menu. From this point forward, the video will loop continuously until you've disable the loop feature, which you can do by simply repeating the steps above to uncheck the loop option, or by refreshing the page. If you want to try a different method of looping YouTube videos on a computer or you're using a device such as a smartphone that doesn't show the hidden menu option, the ListenOnRepeat website is a good alternative. ListenOnRepeat is a free website that allows anyone to start repeating a YouTube video simply by entering the video's URL into its search field. Best of all, this can be done in any web browser on any device. Open the video you want to play on loop. Select SHARE below the video, above its description, and then choose COPY to save the URL to your clipboard. Paste the video's URL into the search box at the top of ListenOnRepeat, and press Enter. On a computer, you can quickly paste the link with the Ctrl+V keyboard shortcut. On a mobile device, press-and-hold and then choose the paste option. The video will begin playing automatically, but if not, scroll down to the Search results section, and then select the video from the list. Adjust the loop section as desired so that ListenOnRepeat will loop only a section of the video, or leave it at the default setting to repeat the entire video. Alternatively, you can search for YouTube videos from ListenOnRepeat's search bar, but you'll probably get better results on YouTube itself. 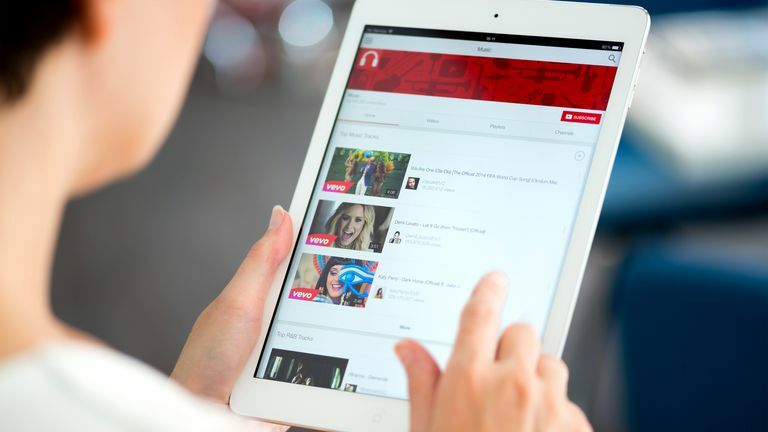 In addition to using the ListenOnRepeat website method above, iPhone, iPad, and iPod touch owners can also use the Free Music app to repeat YouTube videos. It has lots of other features, too, but looping videos is super easy to do. Musepic is one example of a free app that repeats YouTube videos on Android devices. Tap the circular, repeat button under the video so that the icon displays a 1.